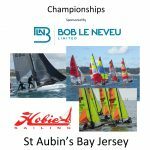 A large Fleet of Hobie Cats are expected to sail in this year’s Championships taking place in St Aubin’s bay over next weekend. 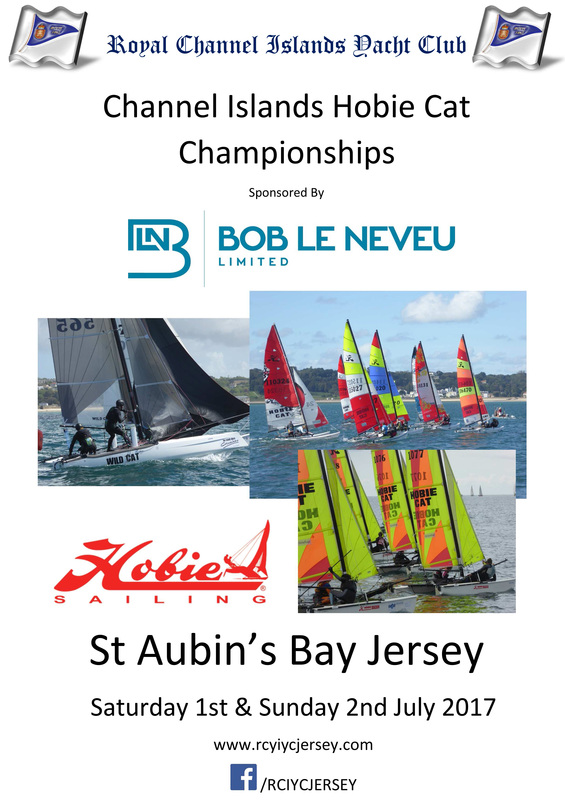 This will be the 26th year of the biggest event in the Channel Islands Hobie racing calendar. Hobie Cat classes competing in in the event will include the largest class, the Hobie 16’s, the powerful Hobie 18, Wildcats and Tigers and the Hobie Dragoons sailed by the Junior teams. As well as class Trophies, there are awards for the top Hobie 16 Youth, Women’s, Masters and Grand Masters crew as well as the Hobie 16 ‘B’ Fleet. Organised by the Royal Channel Islands Yacht Club, racing starts from 10:30am each day. With 6 qualifying races over the two days to determine the Champions in each class, the organising Committee and competitors are looking forward to an exciting and highly active weekend of Championship racing, providing lots of colour in the bay from the striped Hobie sails. 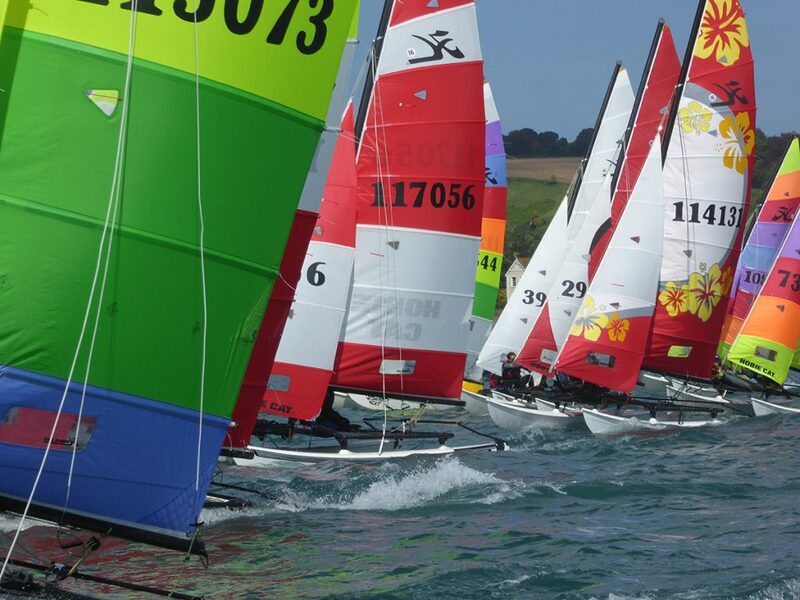 The Hobie 16 ‘B’ Fleet from entry level has seen good growth in the Island this year and along with entries from Guernsey will help boost the numbers on the start line, where around 25 to 30 boats are expected to compete for the silverware and prizes. There is Registration and Weigh in for all teams this Friday the 30th June from 6:00pm to 7:30pm. The Championship Gala Prize Presentation takes place at the Club at 7:00pm on the Sunday, following the days racing.